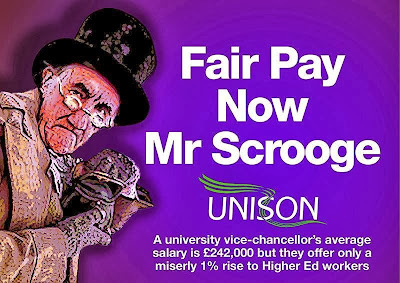 UNISON's members in higher education took part in nationwide strike action on 31 October 2013, seeking a significant improvement on the employer’s 1% pay offer. 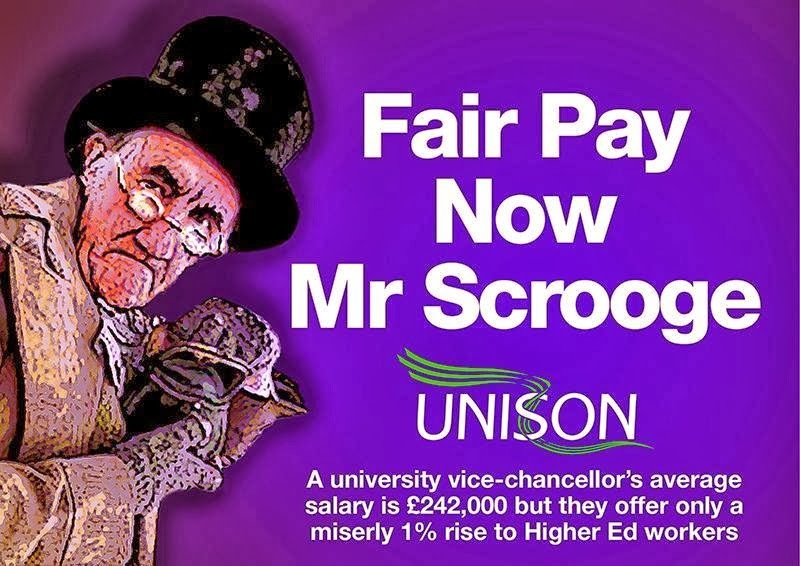 UNISON’s higher education service group executive took the decision to call for a second day of action following discussions with other trade unions and the fact that the employer’s have not increased their pay offer. real-terms pay has been cut 13%; student numbers are up and cash surpluses in the sector are more than £1bn; the English higher education funding body (HEFCE) reported in March 2013 that financial results are stronger than those previously projected in June 2012 despite a fall in public funding; the median pay package of the highest paid staff in the sector is £242,000. The highest paid employee in higher education receives more than £500,000 a year. So we know there is money available for those at the very top. Meanwhile, more tha 4,000 employees are paid less than the living wage of £7.65 an hour (£8.80 in London). Across the UK terms and conditions are being eroded while job insecurity is increasing. There is a greater use of zero hour contracts and an increase in the gender pay gap".